Nothing is more frustrating than your favorite pair of shoes falling apart. One of the most common issues with shoes is the formation of holes. Holes not only look tacky but also allow for air and water to get into the shoes. You may not be ready to replace the shoe for various reasons. The good news is you can repair the hole yourself. There are also steps you can take to help prevent holes from forming in your shoes. In this article, we are going to cover how to repair holes in different kinds of shoes and the steps you can take to make your shoes lasts longer and prevent holes from forming. It depends on where the hole is located on how you repair the hole. 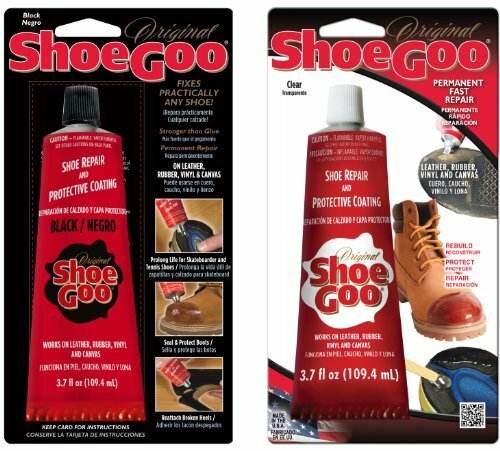 If you need to repair a hole in the sole of the shoe, we recommend using Shoe Goo. Shoe Goo comes in both black and clear. Clean the sole of the shoe to remove any dirt. Trim away any part of the sole that is hanging loose or sticking out. The goal is to get a smooth surface. You do not want the Shoe Goo to seep into the shoe, so you will need to cover the hole from inside the shoe. Lift the insole of the shoe up. Place a piece of duct tape or glue some fabric over the hole from the inside of the shoe. Make sure to cover the entire hole. Now you can focus on the bottom of the shoe. Cover the entire hole with the Shoe Goo. You want to use enough to fill in the hole and not leave a dint. Get an ice cube. Use the ice cube to spread out the She Goo evenly over the hole. Once the Shoe Goo has dried, you can remove the duct tape/fabric from inside the shoe if you would like. Some people can feel the patch when they walk. 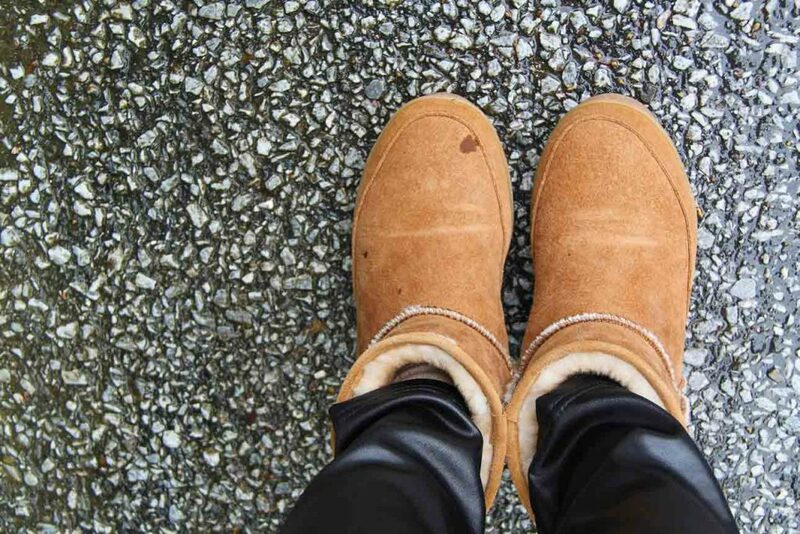 Use a fine grain sandpaper to smooth the edges and remove any unwanted Shoe Goo. 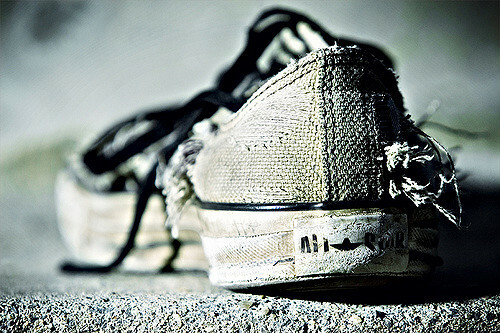 If the top of your shoe has a hole, in the leather or canvas, there are a few different options for repair. Shoe patches come in a variety of fabrics and leathers and many colors and sizes. Patching a hole in a shoe is very similar to patching a hole in clothing. Find a fabric or leather patch that matches the area surrounding the hole in the shoe. Cut two patches to fit. Make sure the patches cover the entire hole but are not so big that they bunch up or hang off the shoe. Depending on whether you are using leather or fabric, the glue you will need to use is different. Chose a glue for either leather or fabrics. Here are some suggestions. Place glue all over the first patch. Place the patch inside of the shoe, glue side up so it sticks under the hole and not to the insole of the shoe. Put glue all over the second patch. You can even get creative with your patches and shape them to look like flowers, animals, or other designs. Here is an example. 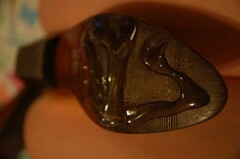 Filler liquids are most commonly for repairing leather. The same kits that can repair your leather couch can repair your leather shoes. Trim the backing patch to small enough that it covers the hole, but does not have a lot of extra that could bunch up. Some patches that come with leather repair kits come with a sticky side, other require glue. If yours requires glue, place a thin layer on the patch and place the patch under the hole (inside the shoe). Once the patch is under the hole, apply a thin layer of the filler liquid on top of the whole. Spread the liquid so that it is smooth, but is also filling the hole. Once you have filled the hole and the liquid is evenly distributed, allow drying for several hours. Here is a video demonstration. The demonstration is on a leather office chair instead of a shoe, but the process is the same. 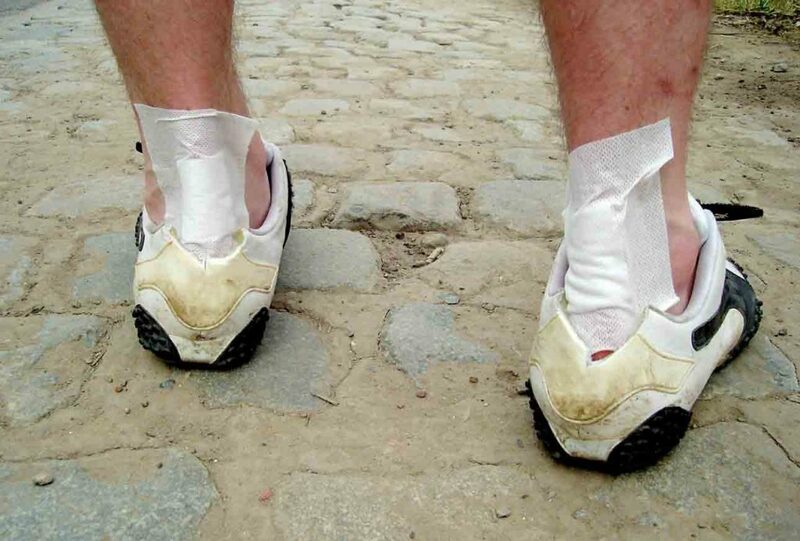 We know it sounds crazy, but millions of people have repaired the holes in their shoes using duct tape. Duct tape is the fastest way to repair the hole. Duct tape comes in a variety of colors and patterns and can be removed at any time and replaced with a new strip of duct tape. Now that you know how to repair holes in your shoes it is important that we let you know of ways to prevent you from getting holes in your shoes in the first place. 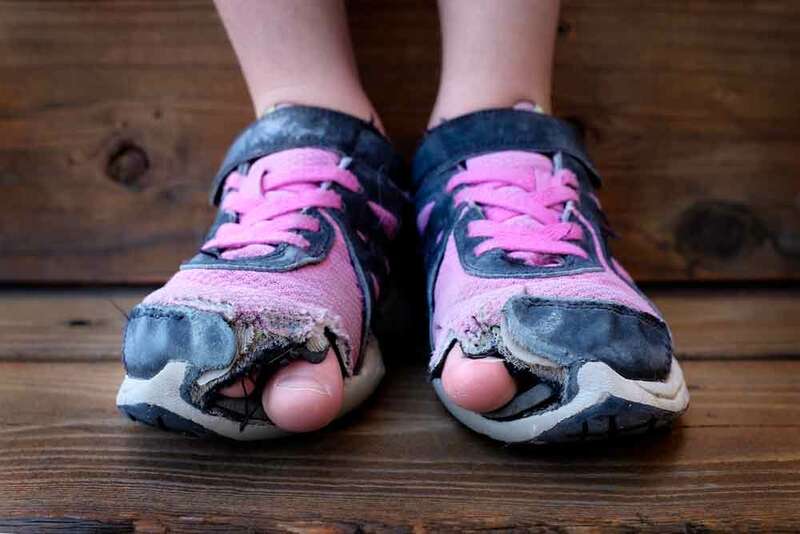 Wearing a hole in your shoe with your big toe is one of the most common ways holes appear in shoes. Especially if you are a runner. So companies have started creating shoe hole prevention inserts. These inserts are like patches for the inside of your shoe. They help reinforce the fabric from the inside. 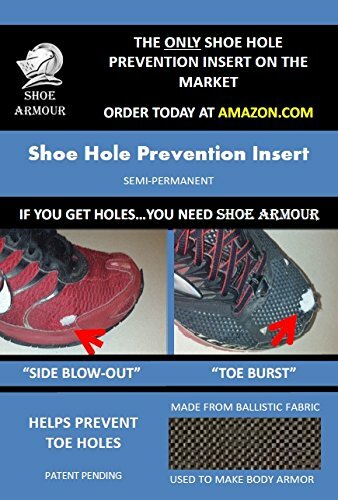 Probably the most popular brand of shoe hole prevention inserts is Shoe Armour. You can help prevent holes in leather shoes by keeping them well conditioned. There are several different leather conditioners available on the market. Applying a thin layer of leather conditioner to leather shoes once a month can help keep the leather supple and pliable so holes do not form as easily. If you are concerned with developing holes on the soles of your shoes, getting a good insole can help prevent holes. Holes appear on the soles of shoes in places where the sole has the most contact with the ground. For example, if you naturally walk heel to toe, the heel of your shoe is a pressure point and will wear down faster than the rest of the sole. Insoles are available for many different pressure points and some podiatrists will even create custom insoles for your foot. Simply adding an insole to even out the pressure on the shoe can help prevent holes. 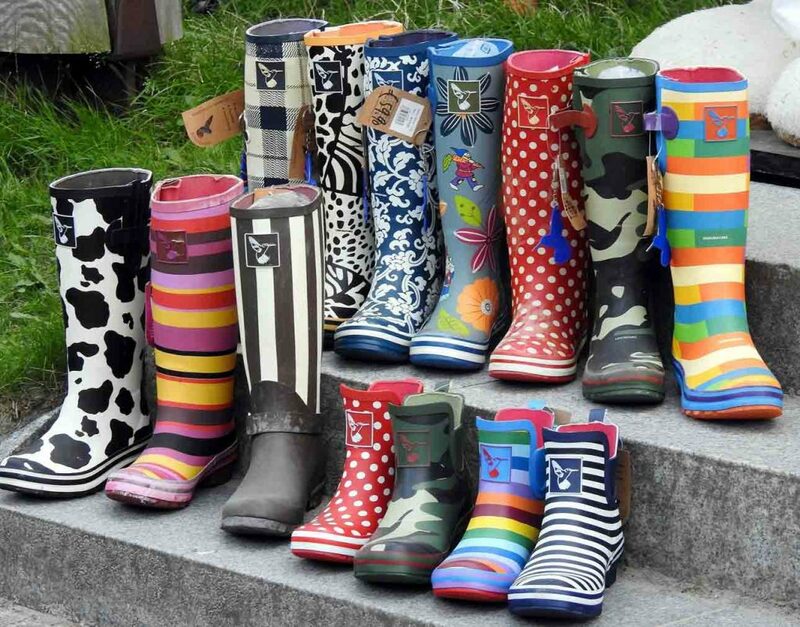 Whether you currently have shoes with holes in them or if you are just trying to prevent your shoes from getting holes, we hope this article has helped you. A favorite pair of shoes can be hard to part with. Some shoe damage you can fix on your own for a fairly good price and without a lot of effort. If you end up with a repair that you are not able to fix yourself using the methods we covered, just remember that most towns will have a shoe repair shop. Do not lose hope. 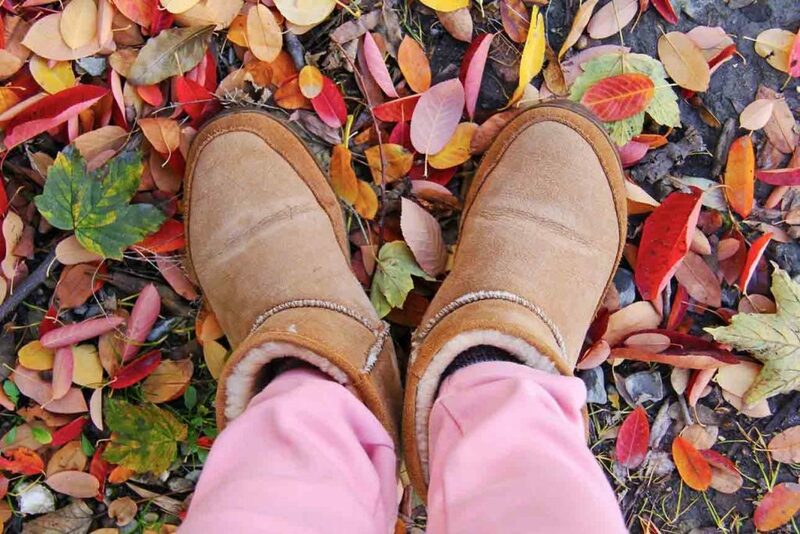 Your favorite shoes may live to see any day.